Brett Drewitt moved to the top of the leaderboard at the 2011 Golf SA Amateur Classic following a course record 7-under-par, 64, at Glenelg Golf Club. Still searching for his first major stroke title, Drewitt has put himself in poll position at 8-under par with rounds of 70-64, four shots clear of first round leader Daniel Bringolf (67-71) and defending champion Brad Moules (70-68). Sean Underwood, Geoff Drakeford and Ryan Peake are a further two shots back on 2-under-par. Ranked just outside the world’s top-50, Drewitt had the ball on a string as he threaded the tight Glenelg layout on a day that favoured low scoring. “I was able to get the ball into the right places and attack the greens,” said Drewitt. Drewitt’s course record betters the previous mark of 65 set by Brad Moules in last year’s Classic at Glenelg. 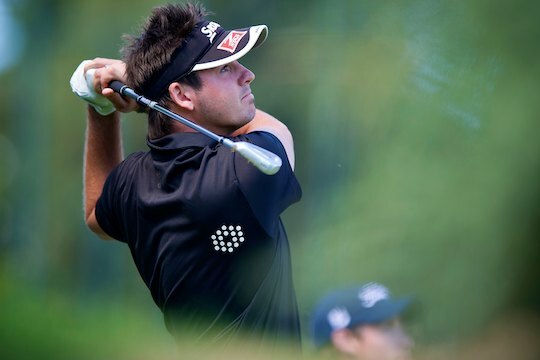 Since coming onto the main amateur scene 18 months ago, Drewitt’s victories have mainly been in match-play events, including the 2010 Queensland Amateur Championship and in 2010. He was the only Australian to secure an international with his 4&3 victory over American, Cory Renfrew, at the 109th Pacific Northwest Amateur Championship at Royal Colwood Golf Club in Victoria, British Columbia. There was also the win at the Avondale Medal in Sydney back in January, a 36 hole Vardon stroke title, yet top amateur stroke trophies have so far eluded Drewitt’s trophy cabinet. “It’s something that I really want to achieve,” says Drewitt. At the Riversdale Cup in March, Drewitt went ever so close to his goal, leading the field during the closing stages of the final day. His hopes were eventually dashed by a string of bogeys over the closing holes to narrowly miss the play-off with Matt Stieger and Nathan Holman. “I’ll approach the next few rounds in Adelaide as being new rounds, put away any negative thoughts and try and get the job done,” says Drewitt. This season, Drewitt made the top-16 at the NSW Amateur, a top-10 finish at the Lake Macquaire Amateur and a top-15 at the Master of the Amateurs. With a tied 8th finish last week at Mandurah, Drewitt has elected to compete in South Australia rather than defend his Queensland Amateur Championship title, an event which conflicts with the running of the South Australian Classic. “The timing of these events was just crazy,” he says. Thirty-seven players will line up for Saturday’s 3rd round with the cut at plus-8 and the bulk of the main players surviving with 2011 Australian Amateur champion, Matt Stieger at 5-over-par, Nathan Holman at 4-over-par, Michael Williams and Kalem Richardson at 1-under-par, seven strokes behind Drewitt.